Bloomington, IL — Police are now speaking out about a decision from the 7th U.S. Circuit Court of Appeals, which ruled that drug dogs signal for drugs nearly every time they are sent to sniff a vehicle or home. This decision shows that police dog searches are not legitimate and that they are just used as a pretense for officers to violate the rights of innocent people. The suspect ended up taking the case to court, and while his sentence was upheld, some very interesting points were uncovered during the investigation. It was revealed that Lex, the drug dog in question, signaled for drugs 93% of the time, even when there were no drugs present. These findings show that dog sniffs are not accurate and are simply used as a tool to justify a full police search. The findings also indicated that Lex was incorrect roughly 40% of the time. “Lex’s overall accuracy rate … is not much better than a coin flip,” the ruling stated. 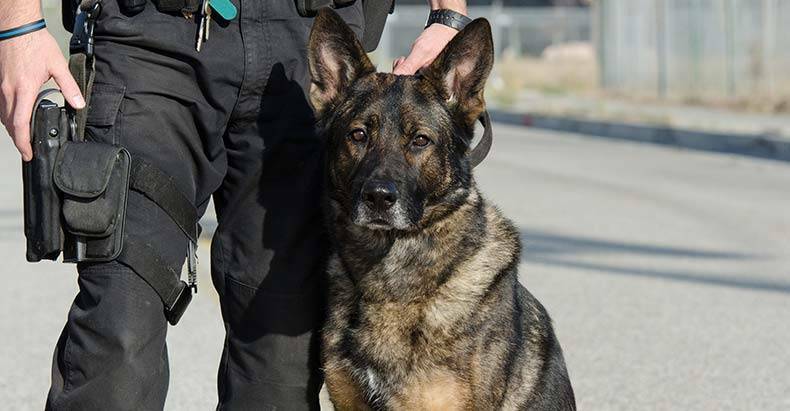 Now the police are speaking out against the ruling, saying that Lex was at the bottom of his class and not a good representation of how most police dogs operate. “Lex is lucky the Canine Training Institute doesn’t calculate class rank. If it did, Lex would have been at the bottom of his class,” a recent police statement said. In many cases, police dogs are trained with positive reinforcement if they are able to find contraband, a situation that will obviously lead to false positives. However, police deny that this tactic is used in training, despite the fact that it is known to be commonplace. “We didn’t do it because we agree rewards confuse dogs, but they will use the practice against us in court,” Bieser said. Last year, we reported on the high-profile case of Timothy Young. Young was pulled over for failure to use his turn signal when a police K-9 was said to have alerted to his vehicle. After police found no evidence of drugs in his car or on his person, he was then handcuffed and driven to a hospital an hour away. During this forced visit to the hospital, Young was x-rayed and sodomized in search of non-existent substances. Still think if you do nothing wrong, you have nothing to fear? Ask Mr. Young that question…..
John Vibes is an author, researcher and investigative journalist who takes a special interest in the counter culture and the drug war. In addition to his writing and activist work he organizes a number of large events including the Free Your Mind Conference, which features top caliber speakers and whistle-blowers from all over the world. You can contact him and stay connected to his work at his Facebook page. You can find his 65 chapter Book entitled “Alchemy of the Timeless Renaissance” at bookpatch.com.